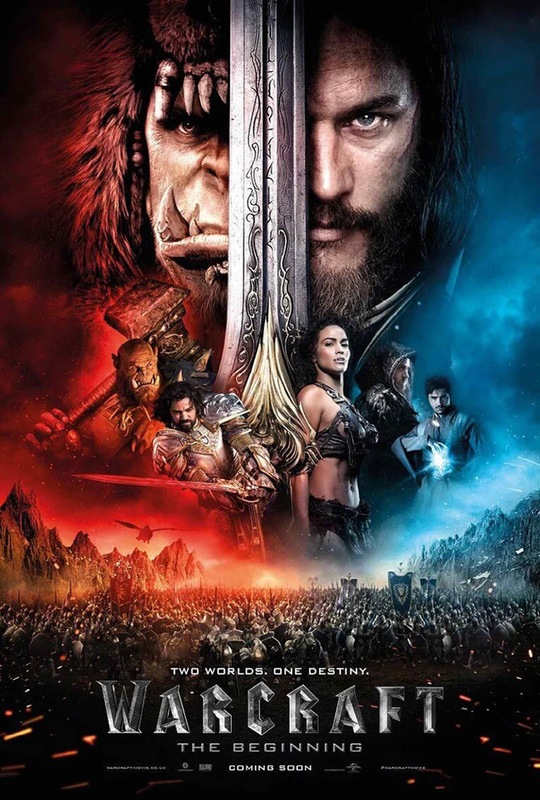 A new poster and exhilarating TV spot has just been unveiled by Universal Pictures and Legendary for “Warcraft” - the epic adventure of world-colliding conflict based on Blizzard Entertainment’s global phenomenon. You can catch both after the break. In the film, the peaceful realm of Azeroth stands on the brink of war as its civilization faces a fearsome race of invaders: Orc warriors fleeing their dying home to colonize another. As a portal opens to connect the two worlds, one army faces destruction and the other faces extinction. From opposing sides, two heroes are set on a collision course that will decide the fate of their family, their people and their home. So begins a spectacular saga of power and sacrifice in which war has many faces, and everyone fights for something. Directed by Duncan Jones and written by Charles Leavitt and Jones, the film stars Travis Fimmel, Paula Patton, Ben Foster, Dominic Cooper, Toby Kebbell, Ben Schnetzer, Rob Kazinsky and Daniel Wu. Opening across the Philippines in June 2016, “Warcraft” will be distributed by United International Pictures through Columbia Pictures.